Kenneth Brian Edmonds, known professionally as Babyface, is an American singer, songwriter and record producer. He has written and produced over 26 number-one R&B hits throughout his career, and has won 11 Grammy Awards. He was ranked number 20 on NME's 50 Of The Greatest Producers Ever list. The song was serviced to contemporary hit radio in the United States on August 8, 2013. Commercially, it debuted on the Billboard Hot 100 at its peak position of number 21 mainly due to the strong digital sales, 141,000 copies, during its first week of availability, and stayed in the charts for four non-consecutive weeks. The single also earned a top twenty peak on the US Dance Club Songs and charted within the top thirty of the Rhythmic chart. Internationally, the recording placed in number 67 in Australia, 57 in Canada, while reaching number six in Japan and earned a gold certification in the country becoming Grande's first top 10 single in this region. "Baby I" has since been certified Gold by the RIAJ and Platinum by the RIAA. It was accompanied by a music video directed by Ryan Pallotta and filmed in the Koreatown neighborhood of Los Angeles. It was released on Vevo channel on September 5, 2013. The video was well received by critics who complimented Grande's styling and the video's concept. According to Grande, she wanted to emulate "the breeziness of early 90s music videos" and cited the style of actor Will Smith and the group TLC as two sources of inspiration. It featured Grande dancing in the streets wearing top and shorts. Ryan Adam Pallotta is a Canadian music video director. Willard Carroll Smith II is an American actor and rapper. In April 2007, Newsweek called him "the most powerful actor in Hollywood". Smith has been nominated for five Golden Globe Awards and two Academy Awards, and has won four Grammy Awards. "I love that. It felt like '90s, Aaliyah, Destiny's Child. I like that it has that throwback feeling to it, and that's when I grew up and it was such a feel-good song to me. And I love what it says. I love it's about loving somebody so much that you just don't know what to say. I think that's really cute. I laughed the first time I heard the lyrics. I like that I get to sing a little more on it ... It's quirky." Patrick "j.Que" Smith is a Grammy nominated record producer and songwriter. He has contributed to songs from Usher, Britney Spears, Jennifer Lopez, Beyoncé, Fantasia Barrino, Ciara, Avant, Chris Brown, Ariana Grande, The Gospellers, and Omarion. Beyoncé Giselle Knowles-Carter is an American singer, songwriter, actress, record producer and dancer. Born and raised in Houston, Texas, Beyoncé performed in various singing and dancing competitions as a child. She rose to fame in the late 1990s as lead singer of the R&B girl-group Destiny's Child. Managed by her father, Mathew Knowles, the group became one of the best-selling girl groups in history. Their hiatus saw Beyoncé's theatrical film debut in Austin Powers in Goldmember (2002) and the release of her first solo album, Dangerously in Love (2003). The album established her as a solo artist worldwide, debuting at number one on the US Billboard 200 chart and earning five Grammy Awards, and featured the Billboard Hot 100 number-one singles "Crazy in Love" and "Baby Boy". Grande said that she wanted the video to emulate the "breeziness" of early 1990s music videos released by TLC and Will Smith. Filming for the song's music video took place July 28–29, 2013. Grande hinted that the video would "travel" back to the 1990s and that there would be "lots of color" and "lots of baggy clothes." A teaser video was posted on Grande's personal YouTube channel September 5, 2013. The official music video was released on September 6, 2013 on her Vevo account. The video surpassed 100 million views on July 13, 2015, making it Grande's seventh Vevo-certified music video. By July 2018, the music video has been viewed over 155 million times on Vevo. Grande performing the song during the event Worldwide Day Of Play in 2013. 1 2 3 Vena, Jocelyn (July 26, 2013). "Will Ariana Grande Time-Travel To The '90s For 'Baby I' Video?". MTV . Retrieved July 26, 2013. ↑ Was, Mike (November 5, 2013). "Ariana Grande Heats Up 'Complex' Magazine, Reveals "Baby I" Was Written For Beyonce". Idolator . Retrieved April 8, 2017. ↑ La Puma, Joe (November 5, 2013). "Ariana Grande: "Shadow of a Doubt" (2013 Cover Story)". Complex . Retrieved April 9, 2017. 1 2 Nostro, Lauren (August 27, 2013). "Who Is Arian Grande? – Her Singles "Baby I" and "Right There"". Complex. Retrieved June 18, 2017. ↑ My Everything (Japanese edition) (CD liner notes). Ariana Grande. Republic Records. 2014. ↑ "Tamagotchi Anniversary Event in Odaiba & Ariana Grande's Theme Song". Tokyo Direct Guide. November 25, 2013. Retrieved July 8, 2017. 1 2 3 4 5 6 Rubenstein, Jenna Hally (July 22, 2013). "New Song: Ariana Grande, 'Baby I'". MTV. Retrieved July 22, 2013. 1 2 3 Anderson, Kyle (July 22, 2013). "Ariana Grande's new single 'Baby I': Hear it here". Entertainment Weekly . Retrieved July 22, 2013. ↑ Lipshutz, Jason (July 16, 2013). "Ariana Grande Previews 'Baby I' Single, Announces Tour Dates". Billboard . Retrieved July 22, 2013. 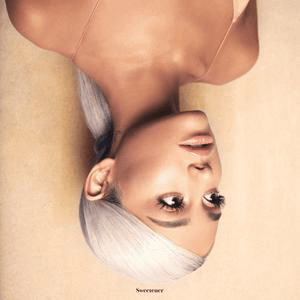 ↑ "Ariana Grande "Baby I" Sheet Music – Download & Print". Sony Music Publishing . Retrieved April 9, 2017. 1 2 3 Yours Truly (booklet). Ariana Grande. Republic Records. 2016. p. 2. 47871096. 1 2 "Ariana Grande – Yours Truly". Pitchfork . September 23, 2013. Retrieved April 9, 2017. ↑ "New Music: Ariana Grande – 'Baby I'". Rap-Up. July 22, 2013. Retrieved July 22, 2013. ↑ "Ariana Grande "Baby I" (New Music)". Global Grind. July 22, 2013. Retrieved August 4, 2013. ↑ "Thursday Thoughts: Who knew?". June 21, 2018. Retrieved June 21, 2018. ↑ Lansky, Sam (July 22, 2013). "Ariana Grande's "Baby I": Hear The Breezy Single". Idolator. Retrieved July 22, 2013. ↑ "Ariana Grande – 'Yours Truly'". Sputnikmusic . September 6, 2013. Retrieved April 9, 2017. ↑ "Ariana Grande: 'Yours Truly' – album review". Digital Spy . September 2, 2013. Retrieved April 9, 2017. ↑ "Ariana Grande strives for diva stardom on unexceptional 'Yours Truly'". The Michigan Daily . September 3, 2013. Retrieved January 1, 2014. 1 2 "Ariana Grande Chart History (Hot 100)". Billboard. Retrieved July 31, 2013. 1 2 Caulfied, Keith (July 31, 2013). "Selena Gomez Earns First No. 1 on Billboard 200". Billboard. Retrieved July 31, 2013. ↑ "Music: Top 100 Songs – 2013-09-21". Billboard. Retrieved April 23, 2017. 1 2 "Ariana Grande Chart History (Dance Club Songs)". Billboard. Retrieved October 16, 2013. 1 2 "Ariana Grande Chart History (Rhythmic)". Billboard. Retrieved October 16, 2013. 1 2 "Ariana Grande Chart History (Canadian Hot 100)". Billboard. Retrieved August 1, 2013. ↑ "Official R&B Singles Chart". Official Charts Company . Retrieved April 23, 2017. ↑ Collar, Matt (August 30, 2013). "Yours Truly – Ariana Grande | Songs, Reviews, Credits, Awards". AllMusic . Retrieved January 1, 2014. 1 2 "Ariana Grande Chart History (Japan Hot 100)". Billboard. Retrieved August 1, 2013. 1 2 "2014 Year End Charts – Japan Hot 100". Billboard. Retrieved December 9, 2014. ↑ "Ariana Grande Evokes 90s Music Videos in 'Baby I' Clip: Watch". Billboard. September 6, 2013. Retrieved April 9, 2017. ↑ "Ariana Grande's Sunny 'Baby I' Video: Get A Sneak Peek!". MTV. September 5, 2013. Retrieved July 11, 2017. ↑ "Ariana Grande's 'Baby I' Video Takes You Back To The '90s (Watch)". The Huffington Post. September 6, 2017. Retrieved July 11, 2017. ↑ @VEVO (July 13, 2015). "VEVO on Twitter: "Oh, baby! @ArianaGrande's "Baby I" is now #VevoCertified with 100M views"" (Tweet). Archived from the original on March 5, 2016. Retrieved November 14, 2015– via Twitter. ↑ "More than 100 million views: "One Last Time" by Ariana Grande is "VEVO Certified"" (in German). November 5, 2015. Retrieved July 11, 2017. ↑ "Ariana Grande Video Interview: Pop Star Talks 'Baby I' Video & Touring Future". Billboard. September 13, 2013. Retrieved April 9, 2017. 1 2 3 "Ariana Grande Invites You Back To The '90s In 'Baby I' Video". MTV. September 9, 2013. Retrieved April 9, 2017. ↑ "Ariana Grande releases preview of '90s-inspired 'Baby I' music video". AXS. September 5, 2013. Retrieved April 9, 2017. ↑ "Austin Mahone & Ariana Grande At VMAs Pre-Show: Who Was Better?". Hollywood Life. August 25, 2013. ↑ "Look At How Far Ariana Grande's Come Since Her 2013 Vma Performance!". MTV. February 7, 2014. Retrieved July 8, 2017. ↑ "Ariana Grande and BTR'S Concert Special!". Nickelodeon (Official Website). Retrieved July 10, 2017. ↑ "Ariana Grande – The Way & Baby I acoustic with Dan Kanter". YouTube. August 9, 2013. Retrieved July 8, 2017. ↑ "Ariana Grande breaks free, shows Manila love in concert". The Philippine Star . August 24, 2015. Retrieved July 8, 2017. ↑ "Pharrell, Chemical Brothers & More Shine at Japan's Summer Sonic Festival". Billboard. August 17, 2015. Retrieved July 10, 2017. ↑ "Ariana Grande – Baby I (Live at Summer Sonic 2015)". YouTube. August 17, 2015. Retrieved July 11, 2017. ↑ "Ariana Grande – Baby I Dutch Tipparade" (in Dutch). Dutch Top 40 . Retrieved July 8, 2017. ↑ Zywietz, Tobias (September 14, 2013). "Chart Log UK: New Entries Update – 14.09.2013 (wk36)". zobbel.de. Retrieved October 3, 2013. ↑ "Official R&B Singles Chart Top 40". Official Charts Company. Retrieved July 12, 2017. 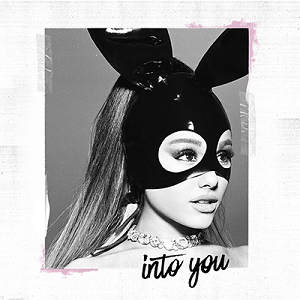 ↑ "American single certifications – Ariana Grande – Baby I". Recording Industry Association of America . Retrieved March 15, 2018. If necessary, click Advanced, then click Format, then select Single, then click SEARCH.